Prominent & Leading Manufacturer from Ahmedabad, we offer floor mounted air handling unit, air handling unit, industrial air handling unit, fresh air handling unit, double skin air handling unit and ceiling mounted air handling unit. 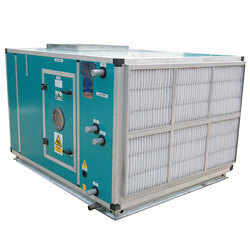 We hold proficiency in the field of manufacturer, supplier, of top grade quality of air handling. Floor Mounted Air Handling Unit is used to condition and circulate air as part of a heating, ventilating, and air-conditioning system. 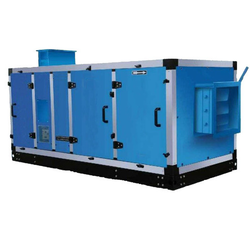 We serve huge range of high quality floor mounted air handling unit. These floor mounted air handler is usually a large metal box containing a bowler, heating or cooling element. Our Clients can avail from us these floor mounted air handling unit at very reasonable range of prices. Weatherproof Light, Limit switch, view glass, filters sections for EU-S, EU-7, in rigid / Bag constructions, Humidifications, Pre / Re Heat Package. Heat recovery wheel / heat pipe. The unit panels are filled with 25 or 50 mm thick pressure injected polyurethane foam, having 38 / 40 kg / m3 density. Various options such as pre-coated galvanized sheets, plain galvanized sheets, aluminum & ss 304 & ss 316 sheets in various thickness are available for inner & outer skin of double skin panels. Drain pan mode of ss 304 with dual slope to facilitate immediate discharge of condensate. Base frame is made of galvanized steel with die cast aluminum joints having lifting hotels. Owing to our ultra modern infrastructure unit and vast knowledge, we are instrumental in providing Air Handling Unit. 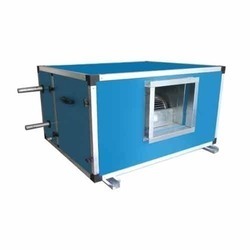 The offered handling unit is used to supply and circulate air around a building, or to extract stale air. In addition to this, offered handling unit is available with customized facility that suits the demand of the clients. Also, this handling unit is examined on numerous provisions of quality so as to deliver a perfect range. Owing to our ultra modern infrastructure unit and vast knowledge, we are instrumental in providing Industrial Air Handling Unit. The offered handling unit is used to supply and circulate air around a building, or to extract stale air. In addition to this, offered handling unit is available with customized facility that suits the demand of the clients. Also, this handling unit is examined on numerous provisions of quality so as to deliver a perfect range. Owing to our ultra modern infrastructure unit and vast knowledge, we are instrumental in providing Fresh Air Handling Unit. 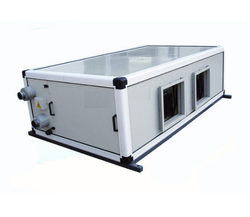 The offered handling unit is used to supply and circulate air around a building, or to extract stale air. We are capable to meet bulk orders of our clients in stipulated time frame. Also, this handling unit is examined on numerous provisions of quality so as to deliver a perfect range. Owing to our ultra modern infrastructure unit and vast knowledge, we are instrumental in providing Double Skin Air Handling Unit. The offered handling unit is used to supply and circulate air around a building, or to extract stale air. In addition to this, offered handling unit is available with customized facility that suits the demand of the clients. Also, this handling unit is examined on numerous provisions of quality so as to deliver a perfect range. We are one of the successful and trusted companies in this area of manufacturing, supplying and trading for several supreme quality materials and equipments in the market. We offering Ceiling Mounted Air Handling Unit to our clients. Ceiling mounted air handling unit are used for private or commercial area. Our main mean is to fulfill the requirements of our clients and provide them most exclusive and high quality materials in the market. We make available these ceiling mounted airs handling with very affordable for our clients. Keeping the diverse requirements of customers in mind, we are instrumental in providing Fan Coil Air Handling Unit. 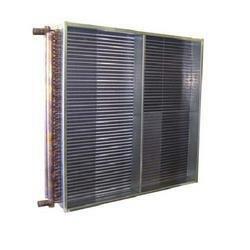 This Fan Coil Unit is designed precisely and is widely demanded in different industrial applications. Our product range is widely demanded amongst customers for its easy installation, rugged construction and low power consumption. Moreover, our product range is designed in compliance with the set industrial norms and standards.